See also this news article and this how-to video. 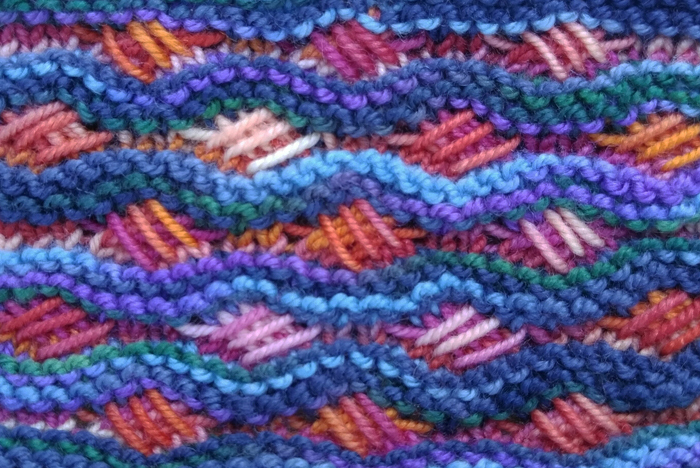 Note that in the two-color swatch, the contrast color was used on rows 5, 6, 11, and 12. 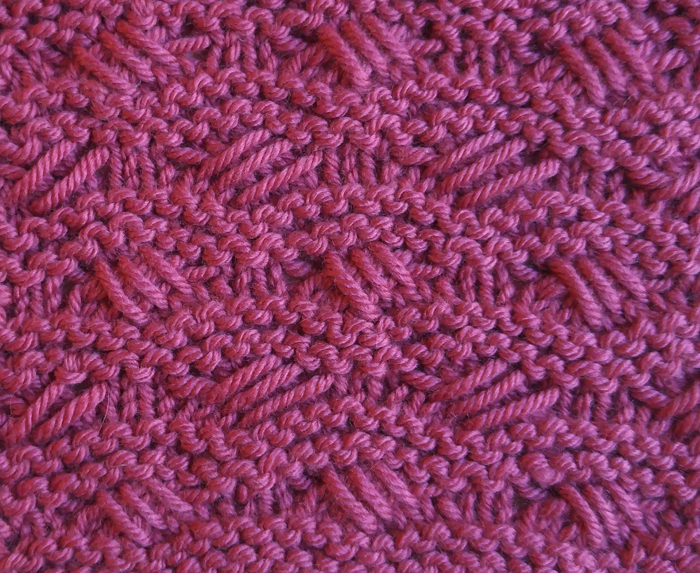 Rows 1, 3, 5, 9, 11, 15, and 19 (RS): Knit. 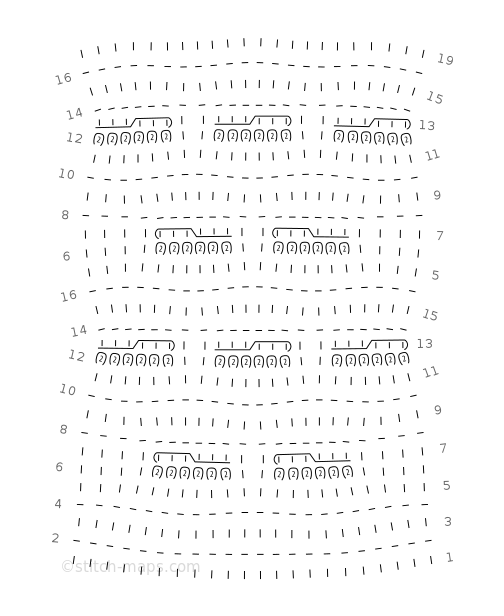 Rows 2, 4, 8, 10, 14, and 16: Knit. Row 6: P4, *p6 wrapping yarn twice, p2, repeat from * to last 2 sts, p2. Row 7: K4, *3/3 left thread thru, k2, repeat from * to last 2 sts, k2. Row 12: *P6 wrapping yarn twice, p2, repeat from * to last 6 sts, p6 wrapping yarn twice. 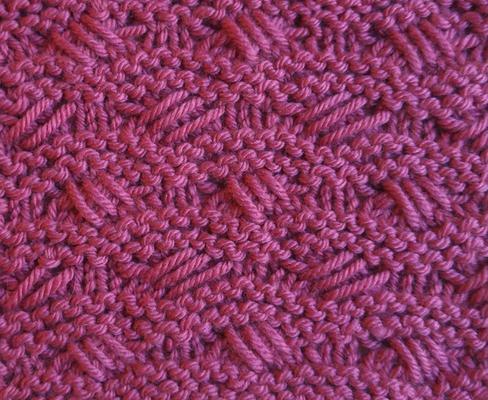 Row 13: *3/3 Right thread thru, k2, repeat from * to last 6 sts, 3/3 right thread thru.